New: Call for demonstrators Acivs 2007 will feature a number of demonstrators. Companies, research groups and authors of accepted papers are invited to demonstrate their work at the conference. Details can be found here. Acivs 2007 is a conference focusing on techniques for building adaptive, intelligent, safe and secure imaging systems. Acivs 2007 will consist of four days of lecture sessions, both regular (25 mns) and invited presentations, and poster sessions. The proceedings of Acivs 2007 will be published by Springer Verlag in the Lecture Notes in Computer Science series. Acivs 2007 will also feature a conference dinner, and other social activities. Details of the social activities, which will include a reception and a touristic activity, will be announced soon. The conference fee (390 € for IEEE-members, Eurasip-members and students and 490 € for other participants) includes the social program (conference dinner, opening reception, and cultural activities), coffee breaks, daily lunches and a hard-copy of the LNCS conference proceedings. Students, IEEE and Eurasip members can register at a reduced fee. Acivs 2007 will feature a number of invited invited talks. The details will be announced later. Both classical research papers and application papers are welcome. The conference will take place in the Aula conference center, room C, Mekelweg 5, 2628 CC Delft, the Netherlands on August 28-31, 2007. The venue can be easily reached from Rotterdam Airport or by train from Amsterdam Schiphol airport. The conference organization happily supports demonstrations witin the scope of the conference. Submissions from both industry and universities connected and not connected to accepted papers at Acivs 2007 are encouraged. Abstracts of accepted demos will be published on the conference web site. One presenter of each accepted demo will need to register at the special "demonstrator rate" ( for early registrations), which entitles him or her to participate in all conference activities and to receive a copy of the proceedings. Presenters of demonstrators who will also present a paper at Acivs 2007 should also register at the demonstrator rate; one registration is sufficient. Prospective authors should prepare a full paper and submit it electronically. The paper should consist of 8-12 pages in A4 format and should conform to the style guidelines outlined on the Acivs 2007 website. Papers should be submitted in LaTeX format or MsWord format. However the use of MSWord is strongly discouraged since MSWord documents, especially those containing equations, often suffer from poor typesetting. LaTeX style sheets, MSWord templates and more detailed information on the submission process can be found on the Acivs 2007 website (http://acivs.org/acivs2007/). It is absolutely essential that submitted papers are based on the provided templates. Accepted papers which do not satisfy the requirements or which cannot be processed without changes will be returned to the authors and may not be published. All submissions will be reviewed by at least 2 members of the Program Committee; additional reviewers will be consulted if needed. The papers should provide sufficient background information and should clearly indicate the original contribution. They should state and discuss the main results and provide adequate references. Paper submission implies that one of the authors will present the paper if it is accepted. The proceedings of Acivs 2007 will be published by Springer Verlag in the Lecture Notes in Computer Science series. LNCS is published, in parallel to the printed books, in full-text electronic form via Springer Verlags internet platform (http://www.springerlink.com). The paper submission deadline has been extended. The new deadline is March 26, 2007.
, Ghent University, Ghent, Belgium. , Delft University of Technology, Delft, the Netherlands. 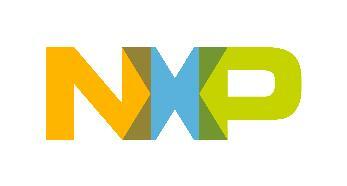 , NXP Semiconductors Research, Eindhoven, the Netherlands. Fritz Albregtsen, University of Oslo, Oslo, Norway. Kenneth Barner, University of Delaware, Newark, USA. Attila Baskurt, INSA Lyon, Villeurbanne, France. Laure Blanc-Feraud, CNRS, Sophia-Antipolis, France. Patrick Bouthemy, IRISA/INRIA, Rennes, France. Ricardo de Queiroz, Universidade de Brasilia, Brasilia, Brazil. Don Fraser, University of New South Wales, Canberra, Australia. Theo Gevers, University of Amsterdam, Amsterdam, The Netherlands. Jerome Gilles, DGA\CEP, Arcueil, France. Dimitris Iakovidis, University of Athens, Athens, Greece. John Illingworth, University of Surrey, Guildford, UK. Frédéric Jurie, CNRS - INRIA, Saint Ismier, France. Richard Kleihorst, NXP Semiconductors Research, Eindhoven, the Netherlands. Hideo Kuroda, Nagasaki University, Nagasaki, Japan. Peter Lambert, Ghent University, Ledeberg-Ghent, Belgium. Bangjun Lei, China Three Gorges University, Yichang, China. Henri Maitre, Ecole Nationale Supérieure des Télécommunications, Paris, France. Eric Marchand, IRISA/INRIA, Rennes, France. Vittorio Murino, Università degli Studi di Verona, Verona, Italy. Laurent Najman, ESIEE, Paris, France. Edgard Nyssen, Vrije Universiteit Brussel, Brussels, Belgium. Nikos Paragios, Ecole Centrale de Paris, Chatenay-Malabry, France. Jussi Parkkinen, University of Joensuu, Joensuu, Finland. Fernando Pereira, Instituto Superior Técnico, Lisbon, Portugal. Béatrice Pesquet-Popescu, ENST, Paris, France. Matti Pietikäinen, University of Oulu, Oulu, Finland. Aleksandra Pizurica, Ghent University, Ghent, Belgium. Paolo Remagnino, Faculty of Technology, Kingston University, Surrey, UK. Joseph Ronsin, IETR, Rennes, France. Luis Salgado Álvarez de Sotomayor, Universidad Politécnica de Madrid, Madrid, Spain. Kenneth Tobin, Oak Ridge National Laboratory, Oak Ridge, USA. Iris Vanhamel, Vrije Universiteit Brussel, Brussels, Belgium. Ewout Vansteenkiste, Ghent University, Ghent, Belgium. The data on this page is © Acivs 2007. All rights reserved. This page was generated on Wednesday April 24th, 2019 06:16:18.